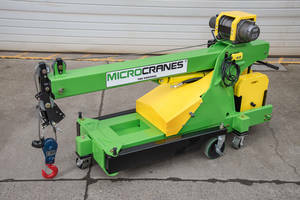 M1 Global Model Microcrane® fits through 36 in. doorways. F600SE.44 Wallboard Crane can be operated using digital RCH/RCS remote control. RT and Crawler Cranes meet emission and transportation regulation standards. 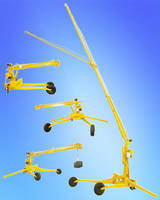 RBC-3000SPBLL-M Convertible Mobile Crane comes with swivel eye hook. 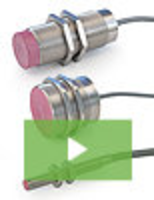 RBC-20000SPBW-TSB Reversible Crane comes with built-in safety relief valves. 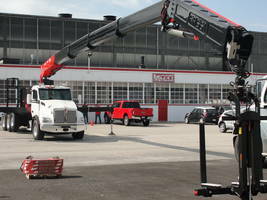 Sky-Riser Mobile Crane comes with adjustable straddle. 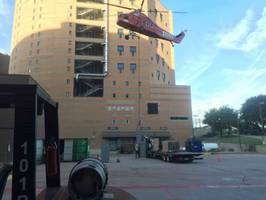 Aluminum Tri-Adjustable Portable Cranes are made of steel. 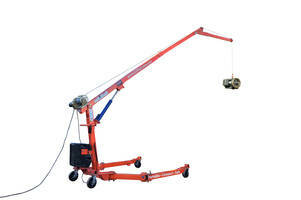 Available in ½ ton to 3 ton capacity, Aluminum Tri-Adjustable Portable Cranes provide height adjustability from 21 ft. 7 in. to 15 ft span. Suitable in chemical, optical, and electronic clean rooms, units are adjusted in height, span and caster frame speed and come in non-marking and non-sparking wheels. 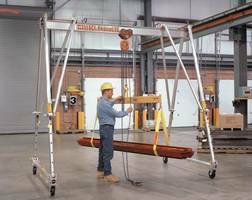 Double-Beam Mobile Gantry Cranes suit concrete, steel industries.